Pamper parties provide luxury treatments, nail art, fun, frolics & laughter. I offer a range of treatments & packages to suit any budget or occasion. 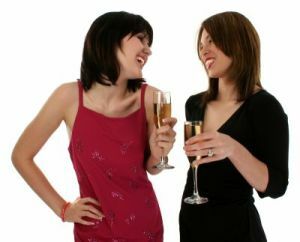 Pamper parties are a new and exciting way to celebrate special occasions or unwind; for girls and ladies of all ages! Pamper parties offer a complete range of treatments from manicures, pedicures and nail art. Being a Mobile Nail Technician I can bring the Nail salon to you! A Nail art party is a great option for young girls and women alike; as I provide a huge range of nail art styles to suit every taste. Manicure or pedicure parties are a great way to relax and unwind with friends. This can be combined with a nail art party package. Invite your friends and enjoy an evening of luxury. Whatever the occasion – Birthdays, Bridal parties, Hen Nights, Divorce Parties, Girls Night In – In fact who needs an excuse for good conversation and soothing treatments? I cover a wide area so there is no excuse why you can’t have your own pamper party. All this and when you book a party for 6 or more guests the host receives a free treatment! I will travel further for larger parties. Please email me and I'll let you know if your area is covered. I will travel further for larger parties. Why go to the salon? When the salon can come to you? Let me do the legwork for you! visitors to this site so far.